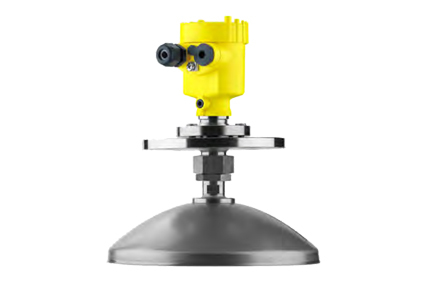 The Vegapuls 68 is a Non Contact Radar Level Transmitter for continuous measurement of bulk solids also under difficult process conditions. The sensor is ideal for level measurement in high silos, large bunkers, stone crushers and in the furnace. The Vegapuls 68 with different antenna versions and materials is the optimum solution for virtually all applications and processes. Through the wide temperature and pressure range, the sensor can be used universally and enables a simple planning.